It’s like Sunday Funday today but on a Wednesday because sometimes, the week is just way too much and too long for you to bear so you need a mid-week siesta. Go ahead, you know you want it. There’s nothing wrong with a drink first thing in the morning on Wednesday right before work. You can quote me on that. So rather than share a full on fancy cocktail for brunch, I thought it would be an extra great idea for us all if I were to share the next best thing. 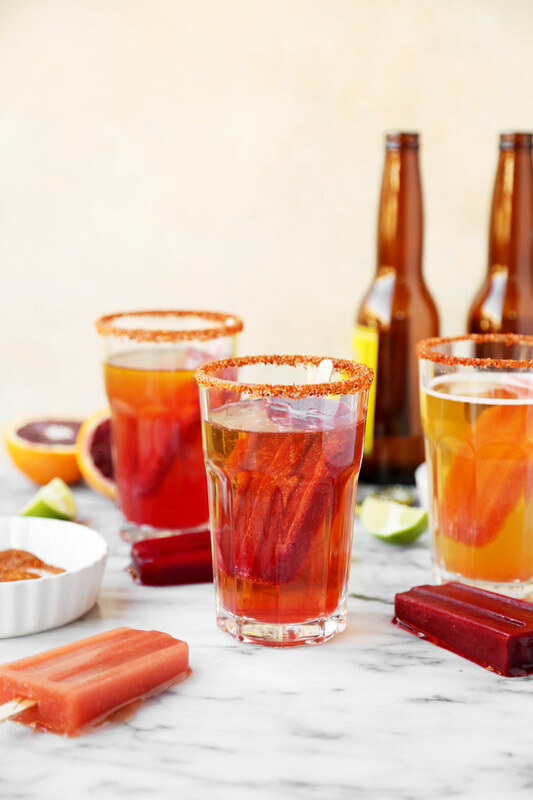 I recently went out with my good friend Nichole, and she suggested this whole michelada beer thing situation we have going on here. Apparently there’s a place in Los Angeles close by that does this with their michelafaes on the menu so I thought to myself that this was the perfect time to start experimenting in the kitchen. I wanted to challenge myself and give them a try because they sounded too good to be true. I’m not going to lie. It took me a few times to get it right. I had to make the popsicles twice, and change the beer choices I first made because it just wasn’t working for me. I used a darker beer at first and I felt like it didn’t go with the pops. I’m not afraid to admit it because I’m not always perfect and sometimes it takes a bit to get things right. With a lot of things in life, not just cooking. I wanted to make sure I had a great recipe to share with you guys. So it took me a few tries to get here. I was supposed to share this with you guys a long time ago (a week or two). I had it sitting on my computer and I kept contemplating whether or not I should just share it. I fought through the struggle and redid it all from the beginning. After I got it just right, I’m finally able to share it and I’m so excited for you to try it. 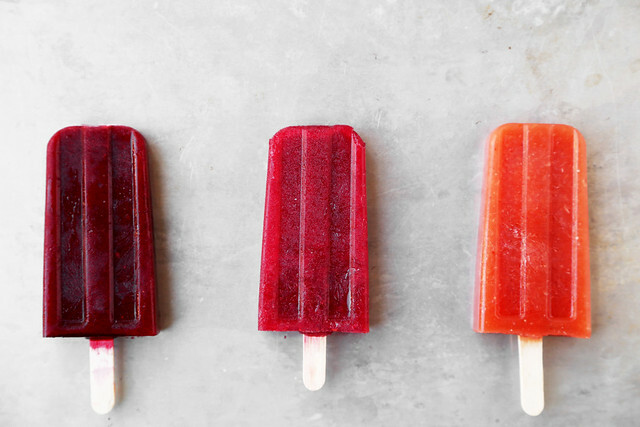 Break out those popsicle molds and let’s pretend like it’s summer. You deserve a big brunch and what’s more, you deserve a cocktail on a Wednesday.